to feel with thoughtful mind and think with tender heart. to make us equal to the task. to tend it as a place of blessedness and worth. Worldly wisdom now is folly; worldly riches count as loss. FBC Berkeley worships at 10:00 am every Sunday in Crouch Classroom, Hobart Hall, on the ABSW campus. Rev. Dr. Nancy E. Hall (ABSW faculty) is the pastor. 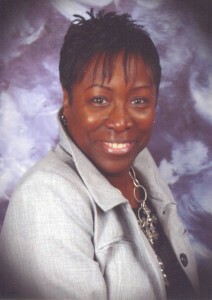 Our preacher this Sunday is Minister Sharon Allen. Come sing with us! We are a Welcoming and Affirming congregation for the LGBTQ community. Dr. Nancy Hall serves as a professor at ABSW and as pastor of First Baptist Church of Berkeley, CA. The congregation is resident at the seminary. Each week Dr. Hall shares the musical selections the congregation will offer in worship. We hope you enjoy the ongoing series. Frail as summer’s flower we flourish; blows the wind and it is gone. But, while mortals rise and perish, God’s compassion still lives on. Alleluia! Alleluia! Praise the high eternal One! That, joined by faith with your great heart, become Love’s open doors. That through our life and ministry your love may be revealed. Pastor, people, family, friends, in each grand endeavor! Grant your deep abiding way, blessing our tomorrows. FBC Berkeley worships at 10:00 am every Sunday in Crouch Classroom, Hobart Hall, on the ABSW campus. Rev. Dr. Nancy E. Hall (ABSW faculty) is the pastor. Our preacher this Sunday is Pastor Hall. Come sing with us! We are a Welcoming and Affirming congregation (www.fbc-berkeley.org). 1. O God of life, your healing touch brings wholeness and salvation! In you, this world you love so much becomes a new creation. 2. Through Jesus Christ you blessed the poor, unleashed your gifts of healing. You gave new sight, new strength, new life — to all, your love revealing. 1. Praise the one who breaks the darkness with a liberating light. Praise the one who frees the prisoners, turning blindness into sight. calming storms and feeding thousands with the very bread of peace. 2. Praise the one who blessed the children with a strong yet gentle word. Praise the one who drove out demons with a piercing two-edged sword. Praise the one who brings cool water to the desert’s burning sand. From this well comes living water, quenching thirst in every land. FBC Berkeley worships at 10:00 am every Sunday in Crouch Classroom, Hobart Hall, on the ABSW campus. Rev. Dr. Nancy E. Hall (ABSW faculty) is the pastor. 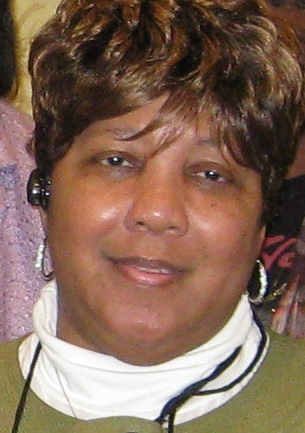 Our preacher this Sunday is Associate Minister Sharon Allen. Come sing with us! We are a Welcoming and Affirming congregation. The planning of worship always deserves our best efforts. When it comes to congregational music, we are blessed with an overwhelming abundance of hymns and songs for our people to sing. Lifting our voices together is one of most amazing and unifying activities in which we engage. Yet, too often, we choose from a very small pool of music for Sunday worship and miss the riches that are available. As a pastor and worship planner, it may surprise you that I spend just as much time each week choosing what the congregation will sing as I do in researching and writing my sermon. The congregation’s song and voice are that important! While I’m blessed to have an excellent personal library of hymnals and songbooks, there are wonderful and comprehensive resources online that anyone can consult. For instance, www.hymnary.org is available to all of us and is a treasure trove of information about hymns and congregational song. Check it out! In this blog posting I want to share a superb hymn text from one of our newer hymn writers. I’ve mentioned Jacque B. Jones before – she is currently the president of The Hymn Society in the United States and Canada (www.thehymnsociety.org). Her first book of hymn texts was published just this year, and debuted at the Hymn Society’s annual conference this past July, in Columbus, Ohio. Songs Unchanged, Yet Ever-Changing (GIA Publications, 2014) includes fifty texts on a variety of subjects, some of which have few (if any) previous hymns written about them: adult baptism, exploring our faith by asking questions, the story of Ruth and Naomi, how we regard our enemies, Mary Magdalene, and affordable housing, just to name a few. So, one of my favorite hymns by Jacque (which convicts me every time I sing it) is “Hear This from a Homeless Stranger.” My congregation, First Baptist Church of Berkeley, meets at ABSW, right across the street from People’s Park, where several dozen homeless and marginalized people gather daily. It’s impossible to read these words or sing this hymn without picturing our neighbors. As you read this hymn, I invite you to be in prayer for all those who struggle to find warmth and shelter, who simply wish to be noticed by those who pass by. makeshift bed and scant possessions, nothing here to make me proud. better not to glimpse my struggle, better not to hear my sigh. There are times you pass my pallet on your way to sing and pray. In the church you join with others thanking God for each fine day. I can hear your joyful music from my joyless hiding place. I am thankful just for shelter, gentle word, or knowing face. I hear God deplores injustice, calls for change in thought and deed. I thought Jesus lived compassion: reaching first to those in need. Seeing me, you all fall silent, you who worship, pray, and sing. You have vision. You have voices. You have influence to bring. busy lives and tending families, giving little thought to me. you’d be sleeping on this threshold, I would be a voice for change. Jacque B. Jones, 2005; © 2011, 2014 GIA Publications Inc. Yes, we can sing about the homeless when we worship. We should! When we sing we embody our calling, our mission, and our values. Friends, let’s be singing about things that matter. I invite you to contact me or to offer a comment here about expanding the congregation’s song. Rev. Dr. Nancy E. Hall is Associate Professor of Ministry and Congregational Music and Director of Contextual Education at American Baptist Seminary of the West. Beginning with summer 2012 and through the fall and spring semesters, Director of Contextual Education and Associate Professor of Ministry, Dr. Nancy Hall, has worked with ten student ministry interns during this academic year. Some have already completed their work; others will wrap up their assignments this month. These are students in both the Masters in Community Leadership and the Master of Divinity degree programs. All have done outstanding work in a wide variety of ministry sites, typical of ABSW’s commitment to diversity both in contextual education and throughout our curriculum. 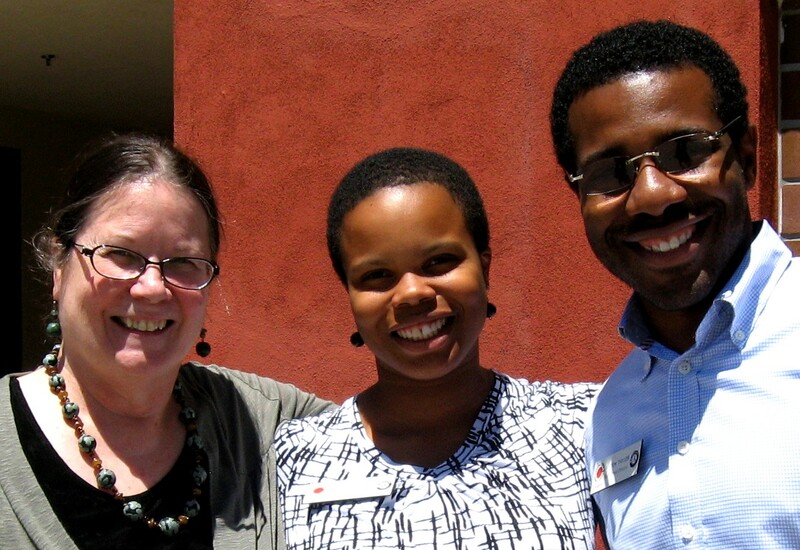 Clanci Cochran completed her two–semester MCL internship last August at City Year Sacramento, working as Regional Admissions Manager West Coast under the supervision of Anton Taylor, Regional Director, Diversity Recruitment West Coast. City Year, a nation-wide program, is an education-focused, nonprofit organization that unites young people of all backgrounds for a year of fulltime service to keep students in school and on track to graduation. [www.cityyear.org/sacramento.aspx ](Photo: Dr. Nancy Hall, Clanci, and Anton). Byung-Hwoon Lee arrived from Korea in 2011 and completed his MCL internship in December 2012, serving at Oakland Korean United Methodist Church. He ministered to the young adult group and also worked on writing a centennial history of the congregation. Rev. 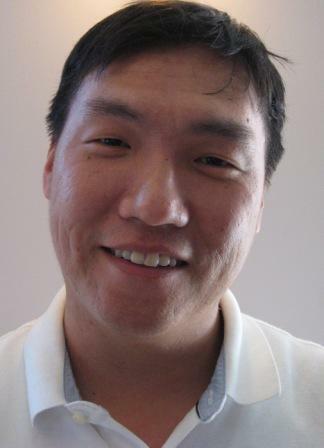 Kang−Won Lee is the senior pastor of the church and served as Hwoon’s supervisor. 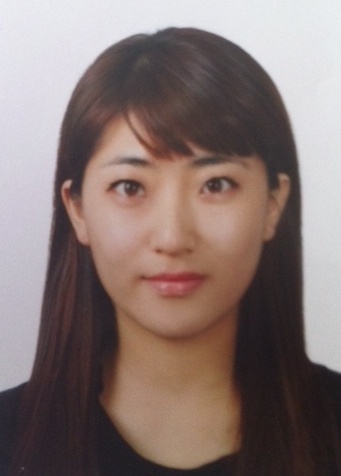 Hwoon began ABSW Doctor of Ministry degree coursework this January. Paulette Anthony undertook an extended unit of Clinical Pastoral Education from October to February at UCSF Medical Center in San Francisco for her MCL internship. She provided spiritual care to families, patients, and staff in adult intensive care, oncology, and general medicine. Her ACPE Associate Supervisor was Allison Kestenbaum. 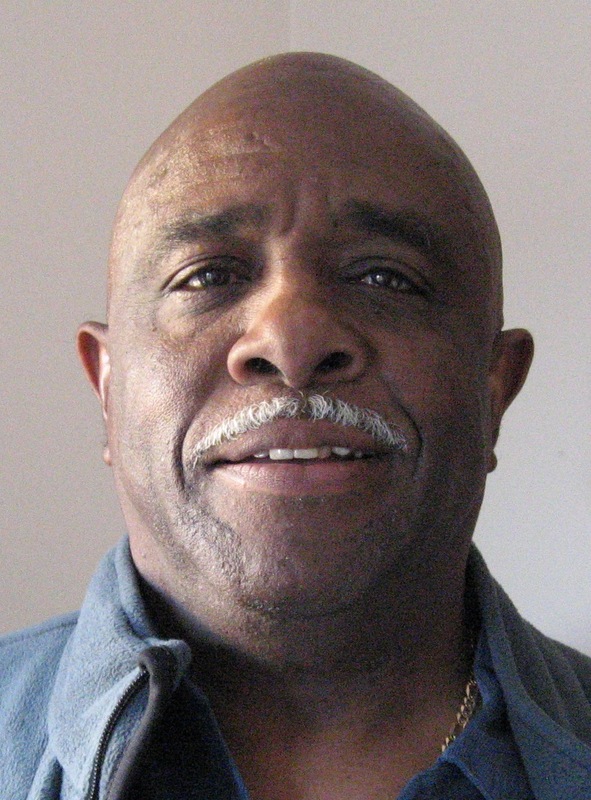 Ron Cole served during the fall semester with Dr. Ronald Burris, pastor of Temple Baptist Church in Richmond. He has continued his MCL internship year this spring by ministering with the visitation team to sick and shut-ins at Allen Temple Baptist Church, working with supervisors Rev. Olu Bereola and Rev. Jessie Land. Sandol Lee serves as an associate minister at Contra Costa Korean Presbyterian Church, conducting weekday early morning services, leading the singles ministry, and working with the praise band. He will complete his MCL internship this spring, under the supervision of Rev. Jason Jeon, senior pastor of the church. Eun–Jeong Lee is enjoying the first semester of her MCL internship at Logos Church in Fremont by leading the music program and starting prayer groups. Her supervising pastor is Rev. Seung Ku Jung. Three Master of Divinity students will complete their Middler Colloquium coursework and internships this month. John Adams is the Supply Pastor at Elmhurst Presbyterian Church in Oakland, carrying out a full range of ministerial duties during his internship year. He is being supervised by Rev. Sonia Coleman (MDiv 2009). As John began his pastorate he was also mentored by the late Rev. Dr. R. Thomas Coleman, who passed away in October. Yvonne Adcock’s internship site has been Balsam House in Oakland, a non–profit residential home for women in transition that Yvonne founded and runs. Her supervisor this year has been Ms. Barbara McDavid of Parks Chapel AME, Oakland. Loretta Belton, an elder in the Seventh Day Adventist Church, has served her internship this year at Market Street SDA Church in Oakland. 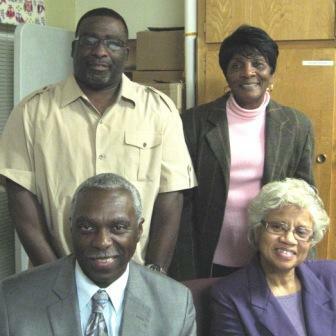 Her supervisor is the pastor of the church, Elder Virgil Childs, who also serves as Coordinator of African American Ministries for the Northern California Conference of Seventh-Day Adventists. Contextual education is at the heart of ABSW’s innovative curriculum. As one group of students completes their year of supervised internship, junior year students at ABSW are working with Dr. Hall this spring to finalize their MDiv and MCL placements for 2013–14.